With primary forest and ocean white water views this 50 Acre parcel has it all. Layered on this untouched Ojochal slope could be a private compound homesite or a small Eco-development. Views stretch out along the south coast from the multiple building sites. This parcel is 15 minutes from coast highway on a maintained private road. The parcel sits above Avancari and other high-end homes in this desired enclave of nature beauty. Power and water is on site. Internal roads are to be established. Ojochal is approximately thirty minutes south of Dominical and thirty minutes north of Palmar Norte. This warm and welcoming village consist of a variety of restaurants, bars and various activities. This little paradise village has many amenities including: Doctor’s Office, dentist’s office, supermarket, Bakery, gas station, beauty salon and many more. The culture diversity is as varied as the country itself. Ojochal is centrally located to several beautiful beaches and surrounded by magnificent mountains. 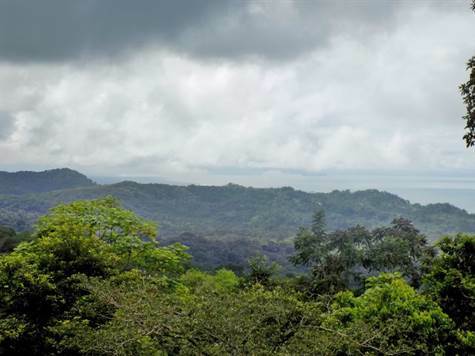 The village itself captures the natural beauty and mystery of Costa Rica.